#1, if the course does not know what they are doing with social media, the first thing they have to do is hire someone that does. #2, it is a combination of several facets of social media and I beleive there must be strategy in all your actions, planned out 12 months ahead with vision. #3 have a plan A and a backup plan. Then you must have the personnel at your course to match the persona of your social media appearance. For example, if you have fountains in your ponds, but they are only turned on for your pictures and your videos, it doesn’t match. If your pro shop counter people appear nicely dressed and outgoing on your social media sites, but I arrive to your pro-shop and there is a chick with tats and a nose ring (Hidden Valley today) behind the counter, well once again it doesn’t match. If your bar area looks cool on the sites, facebook and in pictures, with hot chicks as waitresses, well brother, it better be that in reality. That is the one funny thing about all the social media sites for dating, the biggest complaints is that the media person and the real person do not match, the media person is a phony persona. Zeb has a client I love, love their history, their golf course, but I will not play the course due the head golf professional. That pro’s attitude and personality does not match the course owners history or tradition, website, values or qualities, therefore I play elsewhere. And with 6 other choices within 9 miles, it is easy to lose customers when all social media forms, strategies and personnel do not line up. I only hired a consultant once in my career, it cost me $6,000 and I learned more than $250,000 in real value. Thanks for the contribution. The social media world is constantly changing and every golf course needs someone to advise them on the new trends and issues that come up with social media. Some golf courses may be lucky and have someone on staff who is excited and passionate about social media, but many are not so lucky. And I 100% agree with the statement that social media can only go as far as the actual experience at your golf course. If you have issues like slow play, poor customer service or lousy golf course conditions, it doesn’t matter how well you manage your social media presence. 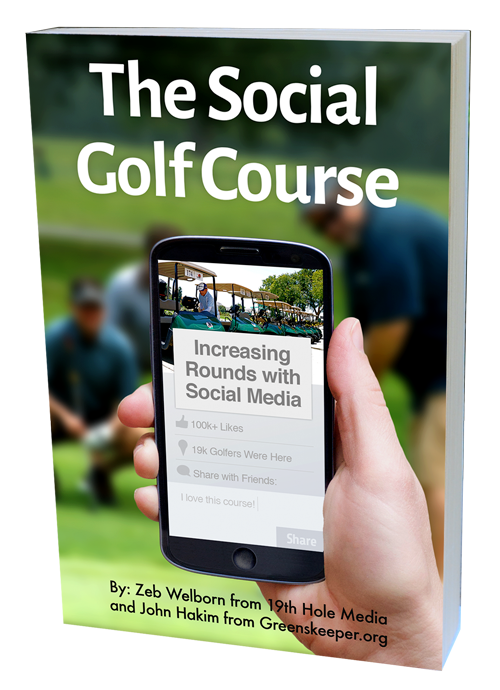 But, if you do everything right at your golf course while golfers are there than it’s a no brainer to use social media to attract and build more golfers at your local golf course.